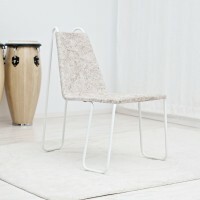 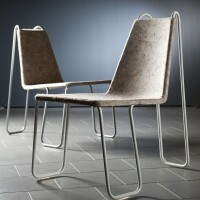 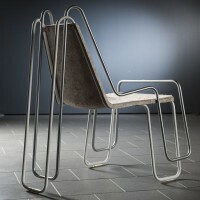 Finnish designer Timo Hoisko has created the Farmline chair out of a single metal tube and locally-produced hemp fiber. 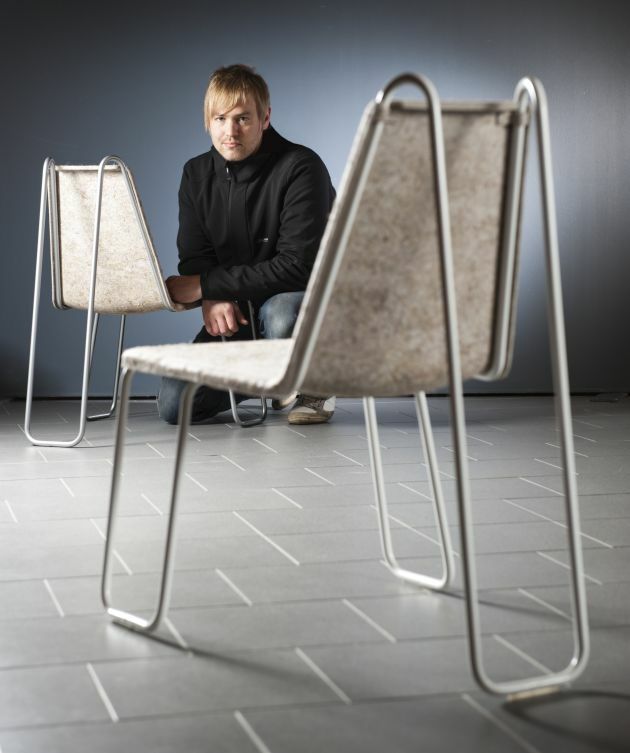 I believe in sustainable development, and in the design our products we should promote nature-conserving renewable materials. 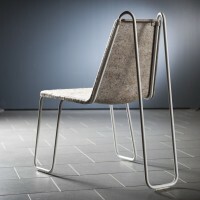 I wanted to design an ecological chair using locally-produced hemp fiber, a rare material in the furniture industry that I believe would create new opportunities in furniture design. 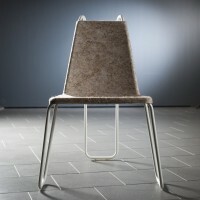 Hemp fiber is an ecological material, as it is cultivated and processed locally at a near-by farm. 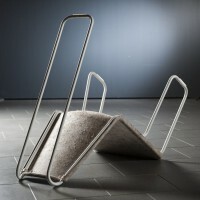 This is carried in the name itself: ”Farmline”. 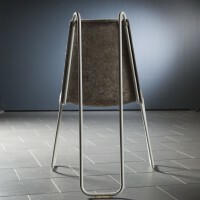 Hemp fiber can be recycled thanks to its adhesive (PET), enabling us to reuse it for good instead of throwing it away: thus its life cycle does not end in the litter box, as all of its materials can be recycled and then re-introduced in production. 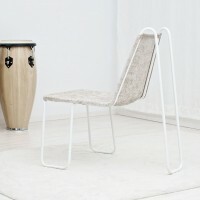 The body of the chair consists of only a single metal tube that runs in a threadlike fashion around the chair, forming three legs. 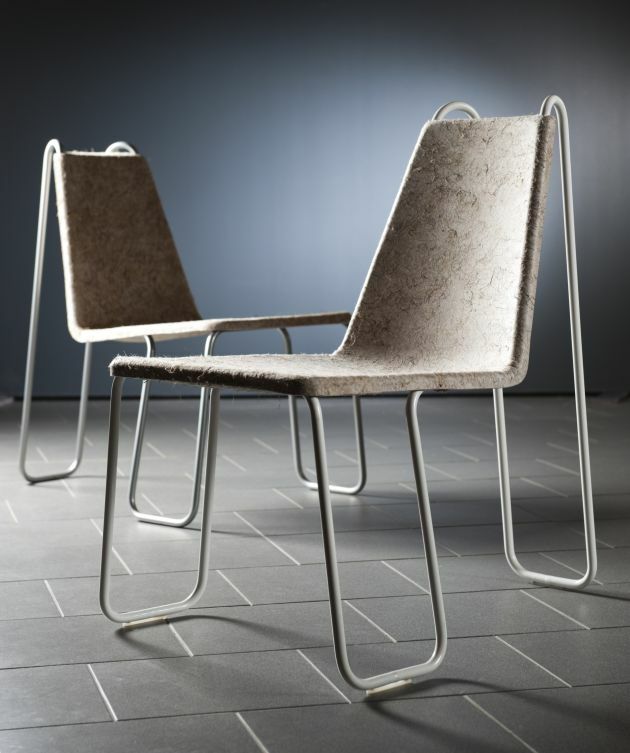 The cuplike seat is attached to the body from the front and from the backrest, and the chair’s skeletal structure allows it to be stacked. 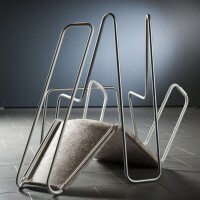 Visit Timo Hoisko’s website – here.